As regular readers will know, these ‘York Stories’ are created and maintained by one person, and because it’s not a profitable pursuit, and because I’m often busy with other things, there are sometimes long gaps between postings. As a way of providing more regular content, when I haven’t time free to write, I thought I’d dip into the photos I have already – a large archive of digital photos of York, since 2004. So, the plan is to include a daily photo, throughout April 2016, of views of York and its details from other April wanders in years past. From the same day if I can manage it, but at least from the same month of April if I can’t. 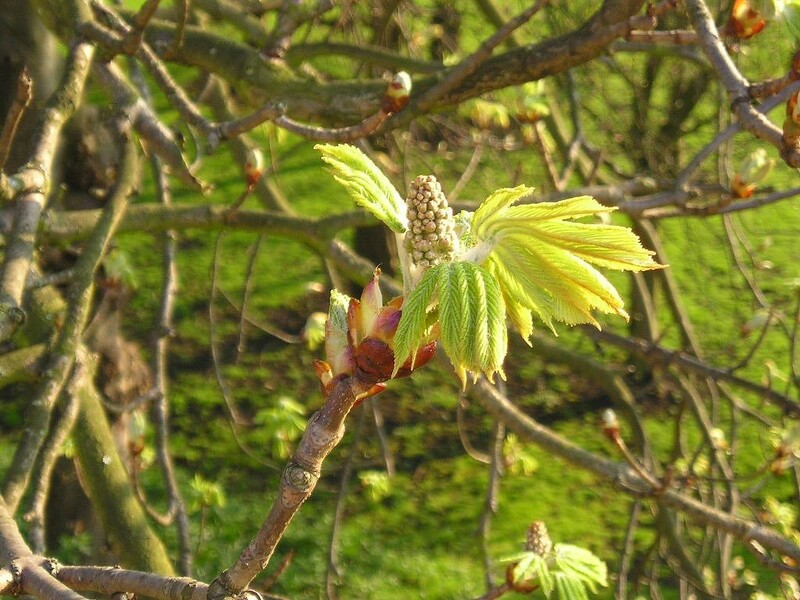 To begin with: horse chestnut tree leaves unfurling, and the flowers in bud, 2 April 2004. It would be interesting to compare and see whether the leaves are opening this year at the same time, in early April, but that’s not possible. The chestnut trees we used to be able to see from the bar walls were felled a couple of years ago. As mentioned on an earlier page.